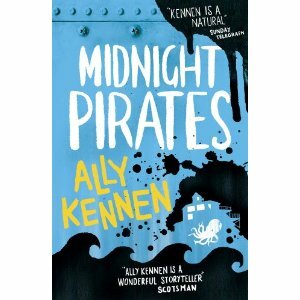 This week my new book, Midnight Pirates is off to the printers. It will be in the shops from January and will be published by Marion Lloyd Books. Three kids, Jackie -10, Miranda -13, and Cal - 16, live in a big rundown hotel on the beach in Cornwall. When the hotel goes bust and their parents have to go away, the children sneak back to the boarded-up building and try to run the place themselves. But the chaos mounts as guests arrive, and the tide washes up a powerful, dangerous gift.